Hungarian prime minister Viktor Orban has offered to open up his country to refugees – but only those seeking sanctuary from the liberal policies of western Europe. His speech came as the government announced plans to hold migrants moving into the European Union in holding camps constructed from shipping containers while their asylum applications are considered. The refugees and other migrants will therefore no longer be free to travel through and out of the country, a restriction denounced as illegal by human rights groups. 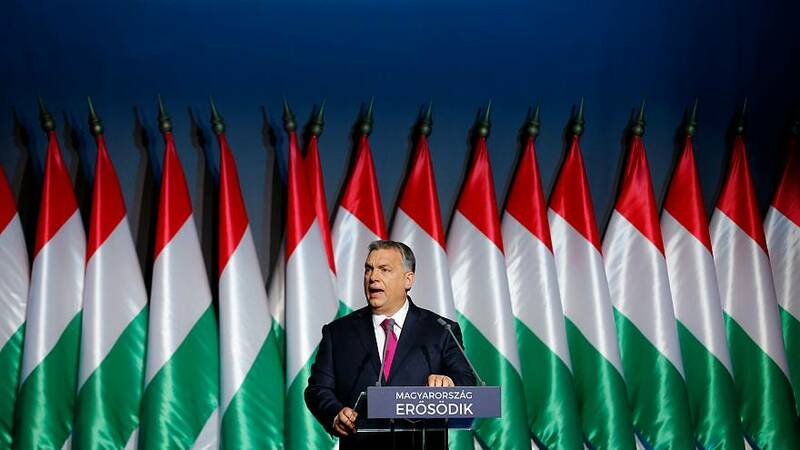 And he praised the strength of Hungary and its economy, observing that nation credit ratings were being upgraded, that wages were rising and household debt falling.